Following in the footsteps of the Sun Odyssey 509, the Jeanneau Sun Odyssey 469 incorporates much of what the veteran French boatbuilder has learned in developing the latest iteration of this venerable performance-cruiser line, which now boasts seven models. 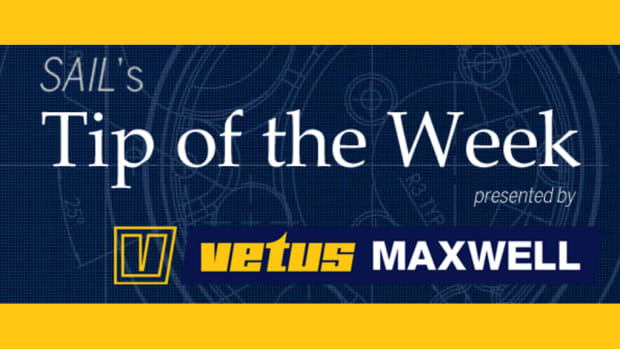 The result is a solid performer that is both attractive and comfortable—all at a competitive price point. 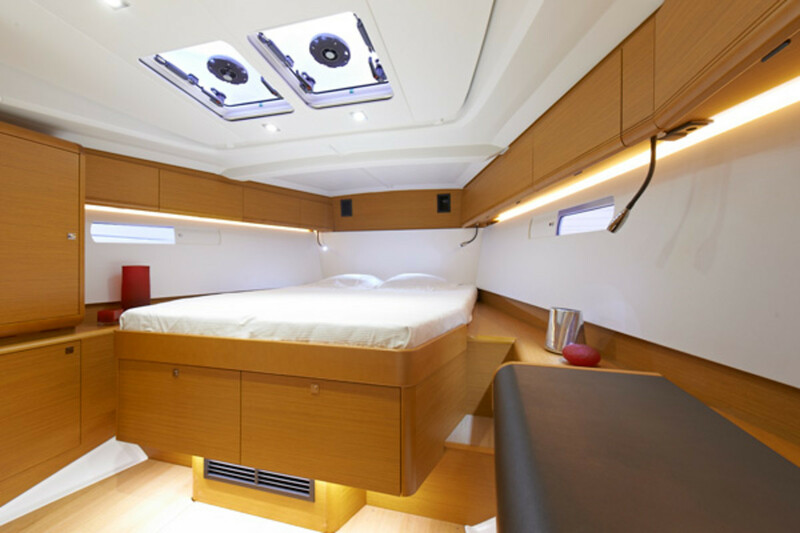 Designed by the Philippe Briand office, the SO469 is a “big” boat for its size, with a wealth of interior volume and deck space enclosed within its 14ft 9in beam. The hull is all fiberglass, hand-laid in a two-part mold, and the injection-molded deck is attached with a combination of adhesives, bolts and screws on an inward-turning flange: all good stuff. I’ve long been a fan of the “Prisma Process” Jeanneau uses to create its molded decks. On the one hand, it allows the company to carefully regulate the amount of resin in the mix in the interest of minimizing weight. On the other, it creates a finished surface on the deckhead that doesn’t have to be hidden from view using liners or other gimmicks. 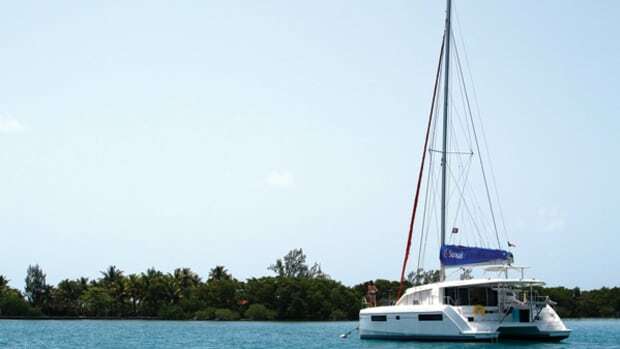 The keel is an iron fin with a bulb, the double-spreader mast is aluminum, and there is a glassed-in structural grid inside the hull to absorb the loads generated when the boat is under sail. Overall, build quality and trim is attractive and well executed, especially for a mass-produced boat. 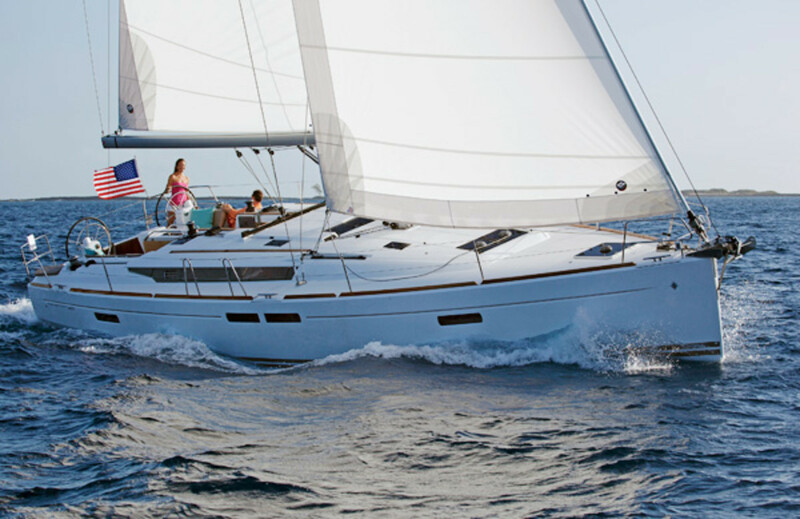 It really is impressive how high-volume builders like Jeanneau continue to up their game with every passing year. No big surprises here, just a smart practical layout that works well, looks good, and serves as further testament to the fact that Jeanneau knows how boats are used out on the water. Case in point: the SO469’s single backstay. Although split backstays are all the rage these days (presumably because they provide an obstructed passageway to the now obligatory drop-down swim platform) I much prefer a single backstay, because it means you don’t have a wire getting in the way when you’re trying to snuggle into a corner during a long stint at the helm. I’m also a fan of the boat’s wide unobstructed sidedecks, which run well aft outboard of the cockpit coaming, making it easy to scurry toward the stern cleat in tricky docking situations. Beefy toerails provide extra security, and no gymnastics are needed to get around the inboard shroud bases when making your way forward. Twin helm stations provide comfortable seating well outboard for playing the shifts to windward, and there are well-placed foot cleats for use sitting inboard or steering downwind. While the cockpit is not as massive as the cockpits on some other European boats, the benches are plenty big enough to accommodate a crowd, and the sturdy centerline table provides a good place to brace your feet. There’s also a wealth of space aboard the SO 469’s drop-down swim platform, which is huge. 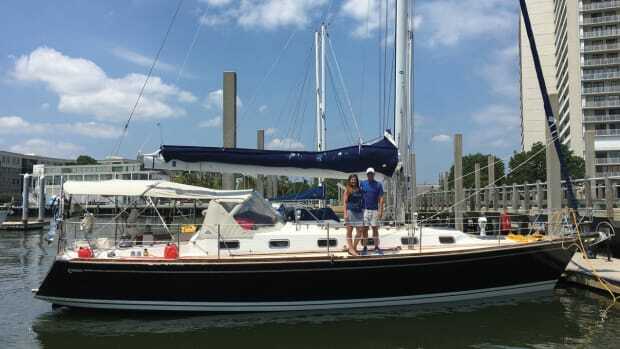 This is a true sailboat, not just a party platform. I like it. If I have a complaint with the Sun Odyssey 469, it’s with the recessed handholds on top of the cabintrunk. When things get snotty, I like nice big handholds to grab onto when going forward. Granted, with today’s rigs there’s less and less reason to do so. But what if something goes wrong? 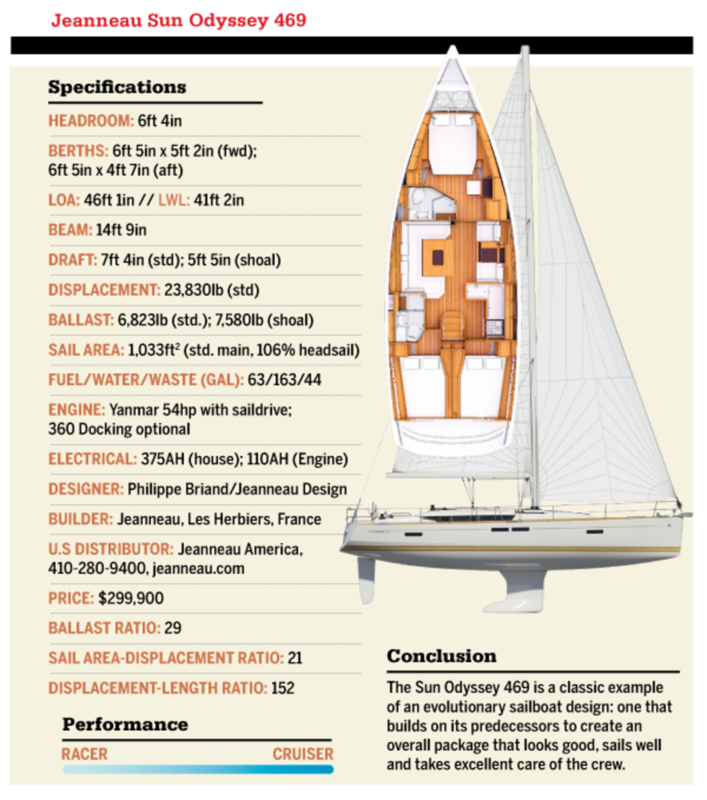 As is the case with the rest of the Sun Odyssey line, the 469 is a good-looking boat, with its nearly plumb bow, aggressively sculpted cabintrunk, cleverly integrated hull windows and cove stripe, and chines aft. The boat’s extended double anchor roller also serves as a tack point for an A-sail. Jeanneau has long-since mastered the art of producing comfortable, functional interiors, and its proven manufacturing processes ensure the various parts and pieces are both well made and precisely assembled. The look is typical Euro-modern, and the saloon cabins are flooded with light, thanks to the large saloon ports, multiple overhead hatches and the previously mentioned hull windows. 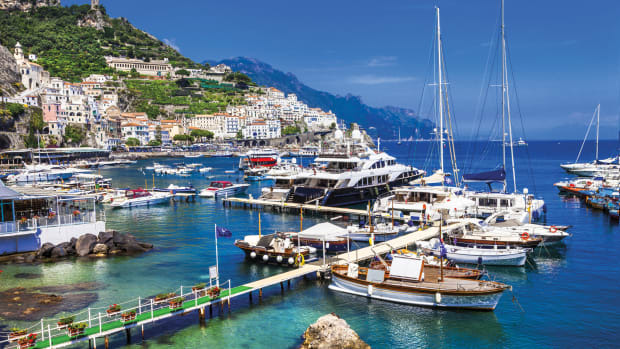 Various iterations are available, including a four-cabin, four-head layout with an inline galley, which will surely be the go-to floorplan for charter outfits. Nice touches include track lighting along the cabin sole and a nav table that slides down to create an uninterrupted settee and sea berth along the starboard side of the saloon. A northeast breeze had been blowing in the mid- to high-teens for hours by the time we emerged from Miami’s Government Cut on to the open Atlantic—perfect weather for a good boat test. 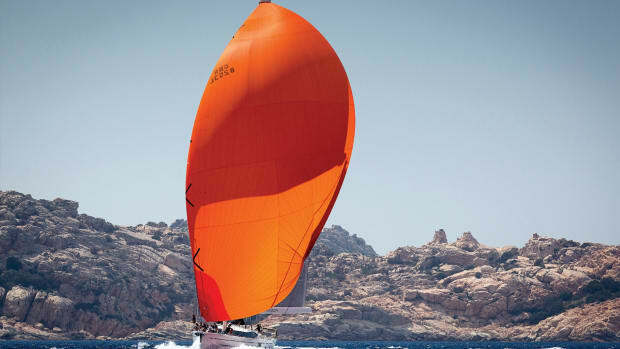 Chatting earlier with Jeanneau America’s Erik Stromberg, I’d wondered aloud how the boat would fare in these conditions under a full press of sail with its single rudder. 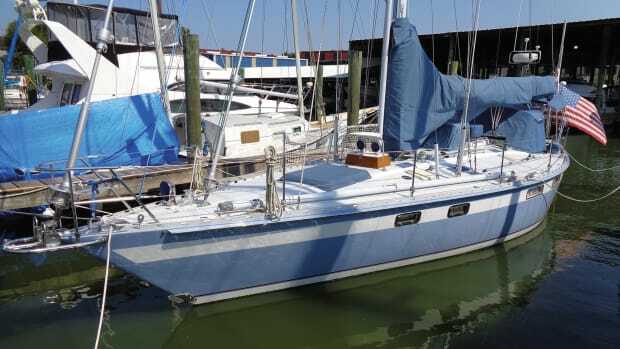 Among other things, the boat carries a good deal of beam aft, and at 46ft 1in feet LOA, it’s big enough to benefit from having dual rudders when sailing on its ear. However, hardening up beyond Red No. 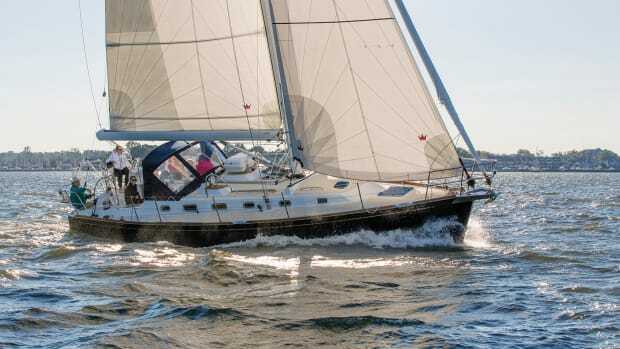 6, though, the boat dug in and powered into the swells on a close reach as if it were the most natural thing in the world, hitting 7.5-plus knots in the puffs: nice numbers given the in-mast furling main and the standard 106 percent headsail. The boat also held its way, easily tacking through the chop, and maintained a light, sensitive helm sailing at a 40-degree apparent wind angle. Overall motion in the lumpy seas was surprisingly easy and comfortable. Heading back downwind, the boat was equally easy to handle, even in the sharp stuff we encountered at the mouth of the channel where the breeze met the outgoing tide. At one point, a series of especially steep rollers tried to grab hold of our stern quarter, but I was able to shrug them off with some moderate helm. “Big rudder,” said Stromberg with a satisfied smile. That nice big rudder and the boat’s 54hp Yanmar saildrive also made the SO469 reassuringly easy to maneuver under power. It was hard to gauge exact boat speeds because of the winds and currents that day, but we logged a good 7.5 knots at 2,000 rpm and 9.2 knots at 2,500 rpm, and had no problem bucking the tide and chop at the mouth of the cut.  Jeanneau’s 360 docking system is an option, but hardly a necessity aboard the SO469.